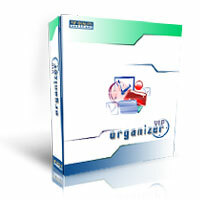 VIP Organizer is a time and task management software which uses To Do List method to help you get through more work spending less time. It increases your personal and professional productivity drawing much of your attention to the most important tasks which give 80% of successful results. + managing time, appointments, meetings, events, projects, workflow, etc. - Application postponed the first carrying out the task to the second week if the start date task is a day before "First Monday"
Efficcess is a cross-platform personal information manager.